The Duke is made up of individuals who are strong team players. Opportunities are always arising within our stores, and we seek to recruit and help people to develop further. There is nothing quite like finding a place to work that’s filled with passion and opportunities to grow. Whatever your aspirations in life may be, however far you want to go, if you love fashion and are as committed to being the best we can be, then join us. 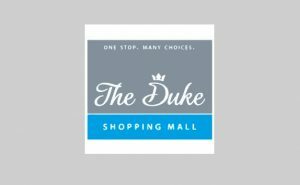 The Duke is looking for full-time cleaners to take care of the Shopping Mall and carry out cleaning duties. Other duties include maintaining stock cleaning material supplies, notify the management of any faults, etc.